In 1916, German agents sabotage the munitions depot on Black Tom Island, which sits just behind the Statue of Liberty in Jersey City. A massive explosion shakes Jersey City, Manhattan, and Brooklyn to the core, a blast so tremendous it's felt in Philadelphia and Baltimore. Although the U.S. is still neutral in the Great War, here at home Patrick Kelly, a young officer in the Jersey City Police Department, has battles of his own to fight. 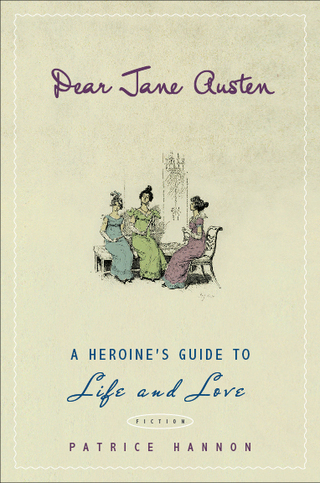 In this delightful “what-if,” Jane Austen answers letters from modern-day “heroines-in-training” desperate for help with everything from dating to fashion to finance. Patrice Hannon perfectly captures Austen’s voice as the celebrated writer offers witty and wise counsel all the while performing in a compelling drama of her own. Romantic. Tragic. Mysterious. And you thought Austen’s heroines led intriguing lives. Who was the Irishman who broke Jane’s heart? Why was their affair doomed? Who were the real Elizabeth Bennet and Mr. Darcy? Why did Jane never marry? The fascinating answers and much more are revealed in this engaging book. A novel rich in historical detail, a vivid portrait of Jersey City and New York City in the years before the U.S. entered World War I. It is a love story and a tale of local politics and international espionage.